We woke up to a fantastic view of Cologne city, with views across the Rhine River to the city’s famous gothic cathedral. What a fabulous start to the day! We enjoyed a leisurely breakfast, before heading across the Hohenzollern Bridge, famous for its wall of love padlocks. 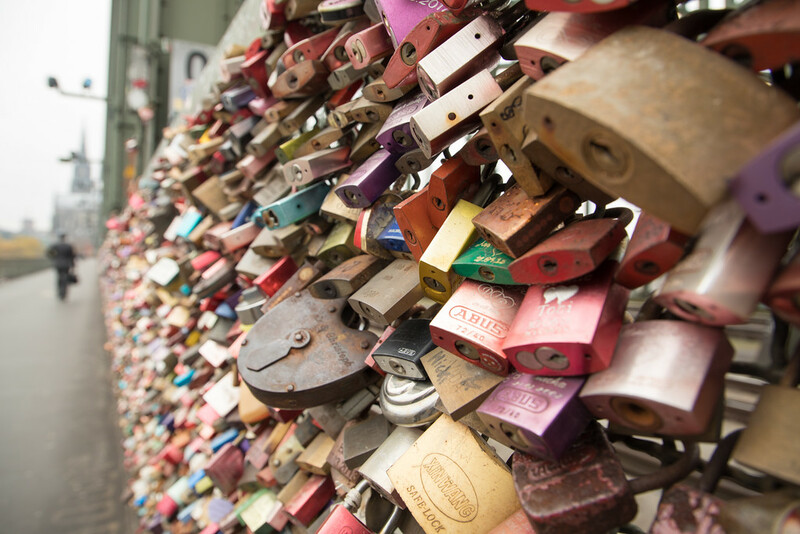 In all our travels, we have never come across this many love padlocks before. Never thought of Germans as being lovey-dovey. ‘Oh Jon, shall we add a padlock?’ He laughed and carried on walking! First stop, we visited Germany’s most visited landmark, the Cologne Cathedral. 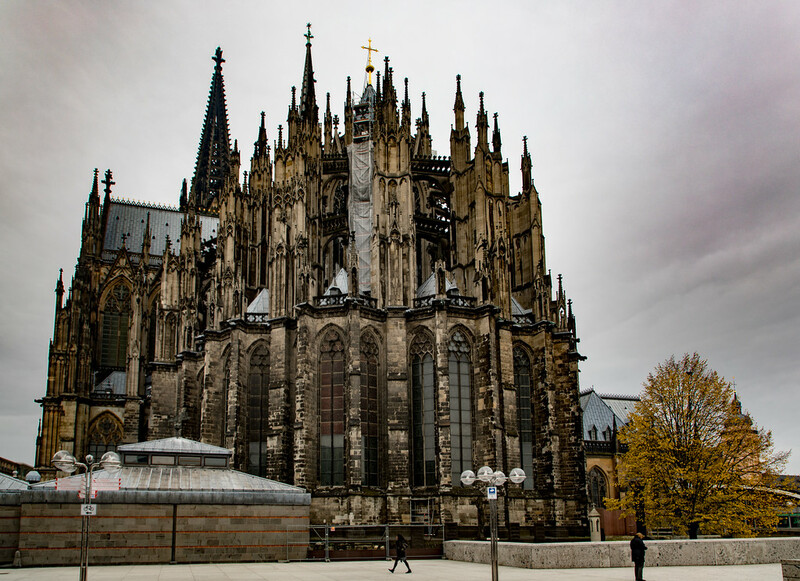 (www.koelner-dom.de) The two towers can be seen from nearly every corner of the city since its completion in 1880, although the original construction started back in 1248. As gothic cathedrals go, it’s pretty impressive and features some gorgeous stain glassed windows. From here, we wandered around the Old Town. 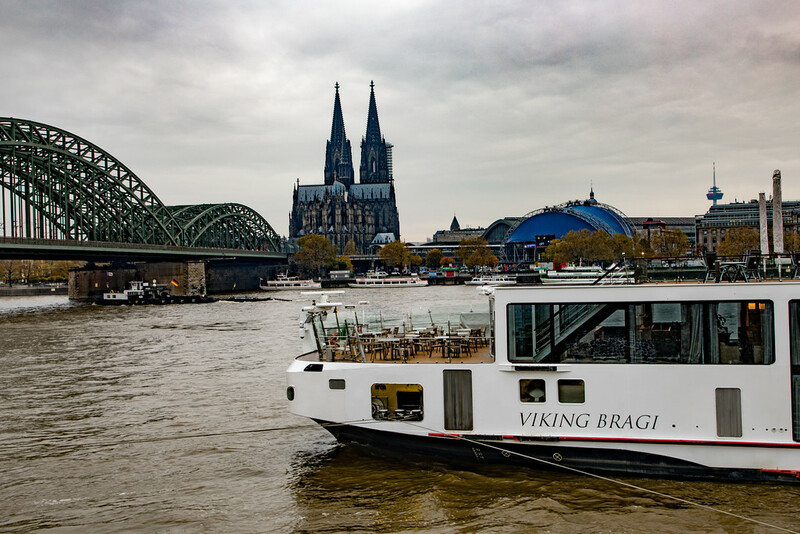 Compared to the other German cities we have visited on this trip, it wasn’t the prettiest or even that old, probably because 72 percent of the city of Cologne was destroyed during World War II and almost all of the original old part. However, there are many charming bars and restaurants in this part of town. 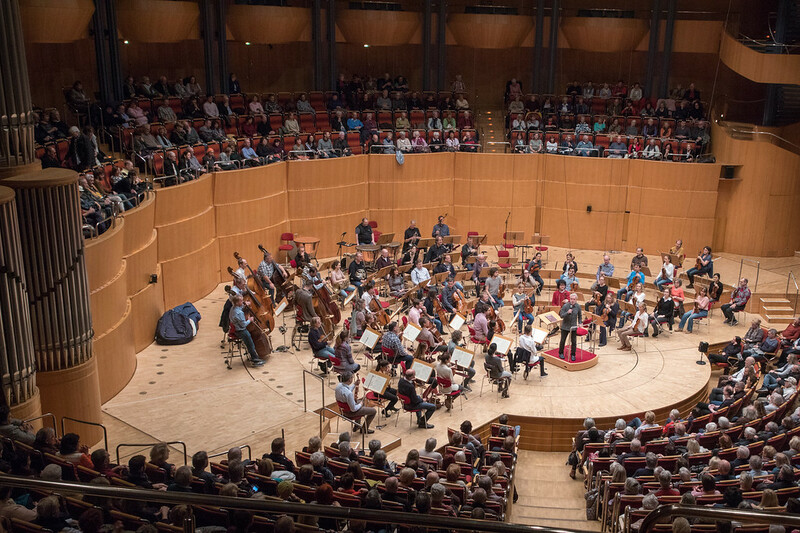 But no time for lunch today because, at 12.30 pm, there was a free lunchtime concert by the Cologne Symphony Orchestra at the Kolner Philharmonie. Now I believe these are every Thursday lunchtime but don’t quote me on that. There were significant crowds of people outside waiting to get in, not queueing orderly like us Brits like to do, but not to worry, the venue is huge, and there was room for everyone. So still not hungry after breakfast, we opted to improve our minds rather than stuff our faces and headed to the nearby Praetorium and Roman Sewer! This Roman archaeological site, located under the Town Hall Square, was once the official residence of the Imperial Governor of Cologne. We even had a stroll through the somewhat claustrophobic Roman sewer, and no, it didn’t smell! But fabulous as strolling in a drain can be, we wanted to see the famous Dionysus mosaic which dates back to 220 AD. I guess it would make it easier if we were in the correct Roman museum – oops! So off we went to the Romano-Germanic Museum which is worth a visit if you like Roman history. 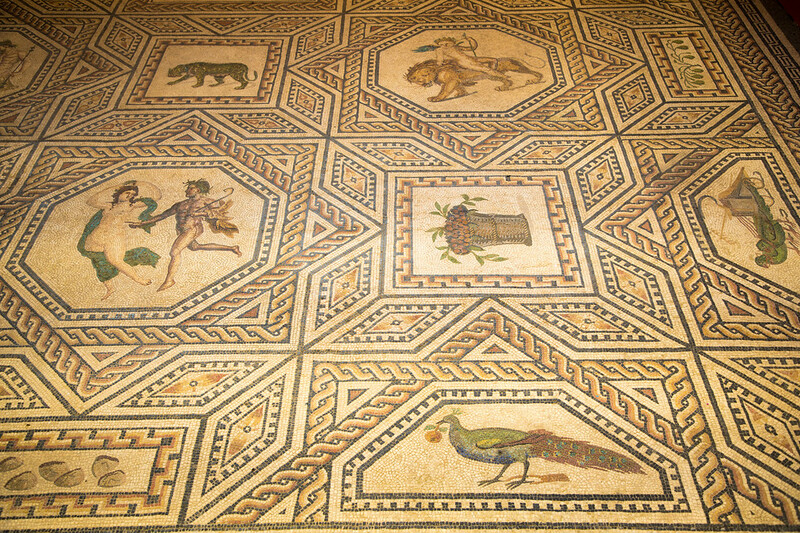 The museum protects the original site of a Roman villa, and the incredible Dionysus mosaic remains in its initial position. With all this fabulous new knowledge, it was now time to return to the Old Town for a glass or two of the local beer, before returning late afternoon to the ship. We contemplated heading back into town after dinner as we weren’t sailing until 10:30 pm but as is the way, when you overeat, lethargy sets in. So instead, we headed to the lounge to watch a local band and pretty good, they were too. Nobody queues like the British!